White Plains-based Formé Urgent Care has recently unveiled a pioneering annual membership to aid the uninsured. Founded in 2000 by Gina Cappelli, Formé Urgent Care has been making waves in Westchester’s medical scene for a number of years. In 2003, the company opened its very first extension clinic in Eastchester and, by spring 2014, had unveiled its popular Formé Urgent Care and Wellness Center in White Plains. Now, with the recent debut of the company’s innovative new medical membership, the uninsured will have a new option when seeking aid. 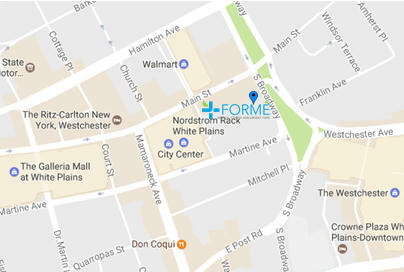 ​This membership offers participants discounts on medical care at Formé’s facilities in White Plains, which include walk-in medical care facilities as well as diagnostic and treatment centers, for $365 a year. It is a bold new way to offer care to the uninsured at relatively low cost compared with standard health insurance plans. The founders feel Westchester in particular is fertile territory for this forward-thinking approach to care. “We both live in Westchester County and knew from the statistics that there are over 116,000 uninsured individuals in this county, according to the Westchester County Department of Health. It was important to us to help our community and create positive change,” says Trusa.